Honeywell Enviracaire HEPA Air Purifier is one thing that your home ought to have. It is an important tool to keep your family safe and healthy. This air purifier is a necessity which can make your home clean by providing you sanitary and fresh air. So you can say that this is the purifier which actually works. AHAM and CADR Certified. 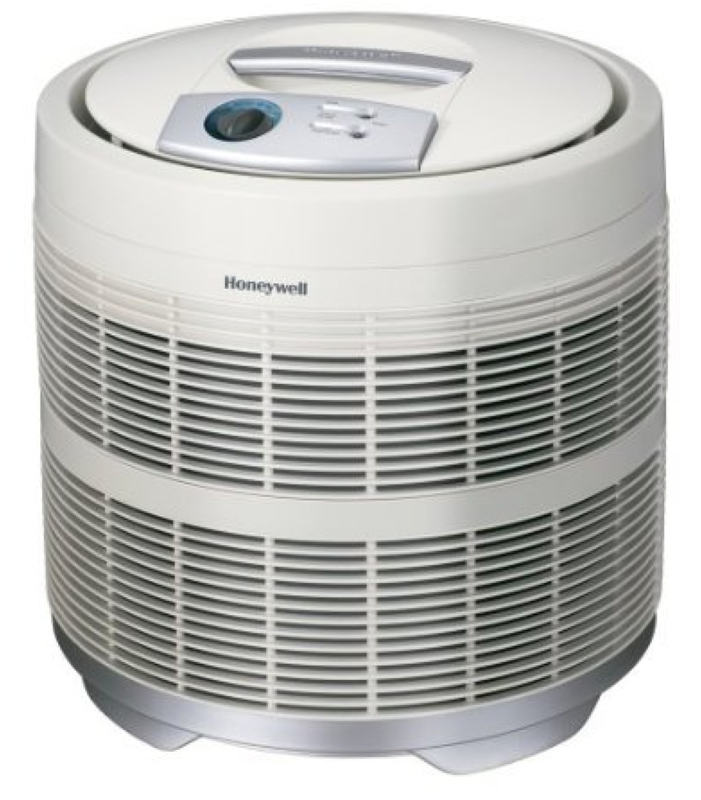 Honeywell Enviracaire HEPA Air Purifier has been Association of Home Appliance Manufacturers (AHAM) Certified and it has the capacity to clean the air of a room with the size of 390 square feet. It eliminates smoke and other dust particles. It is Clean Air Delivery Rate (CADR) certified with ratings 250 for smoke, 250 for dust, and 250 for pollen. Long lasting Filters. The HEPA purifier which comes with the long – life filter removes pollutants from the microscopic ones as small as 0.3 microns to the bigger ones which are visible to the eyes. The Air Purifier takes care of airborne particles. It also kills viruses and bacteria. 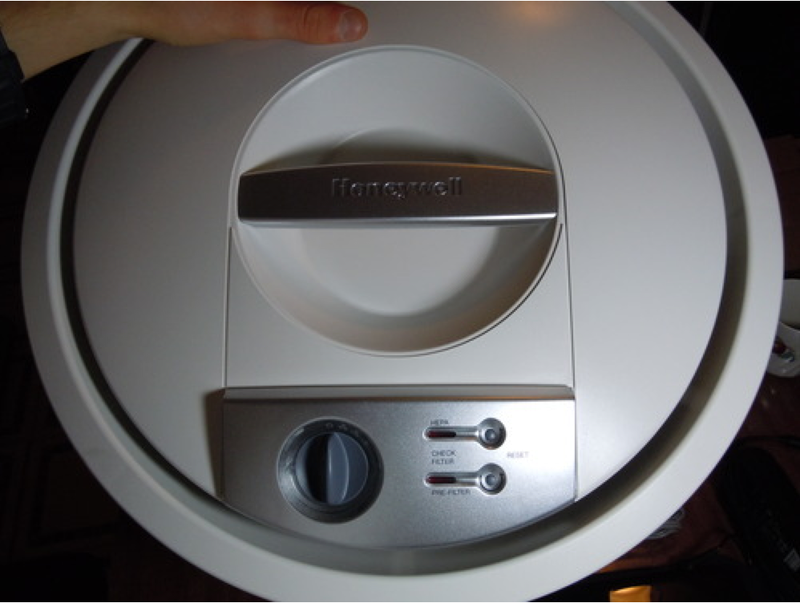 The filter can be vacuumed so its shelf life can last for a very long time. With this advantage, the filter can be replaced after 3 – 5 years thus allowing you to save some money. Filters with Carbon. The carbon activated pre-filter takes care of the bigger particles. It is because of this feature that dust particles, pollen, pet dander and mold spores are greatly reduced. It also has the capability to reduce odors which are very common in houses with pets. It can continue circulating the air even in extra large rooms up to five times an hour. The Honeywell Enviracaire HEPA Air Purifier does not remove or absorb carbon monoxide though so extra care should be taken when using gas appliances. Remember to make sure those gas appliances are well ventilated. Well-distributed and Sealed Fresh Air. It has 360-degree airflow which makes an even distribution of fresh air. When unpurified air is sucked into the Air Purifier, the filters strain the particles from the tiniest one to the bigger ones. It then releases clean air to the whole room. This is important in purifying the air in houses to make sure that the whole area of the house gets equal amount of clean air. The Air Purifier also has SurroundSeal Technology which makes it sure that air leak is minimized. Change the Filters Regularly. The Air Purifier is armed with the Intelli Check filter monitor to make it easier for the user to determine when to replace the filter. This one allows the user to avoid guessing whether it already is time for the replacement filter or not. It assures the consumer that accidentally circulating dirty air does not happen. This purifier has 3 cleaning settings. Internationally Compatible. This purifier has a 120 V wattage plug which makes it easy to use in many countries. When being used in countries that use 110 V, a converter is needed. This should not be a problem as converters are very easy to find and the price is reasonable. THE Air Purifier has a 5-year limited warranty. This is an indication that it doesn’t break easily. The quality of this product in undeniably good. The Air Purifier has a dimension of 18 by 18 by 19 inches which makes it a bit bigger than most purifiers. It also weighs 21 pounds. It only shows that it can clean more space than other purifiers. Its size shouldn’t be a down side because it does its job effectively. The True HEPA purifiers are highly recommended by doctors as this helps people battle with their allergies. With the different types of filters that are used in the purifier, a lot of impurities in the air are captured thus only fresh air is allowed to flow in the house. Was there a time in your life where you suffer from constant sneezing and runny nose because of dust or pollen which are in the air? Brace yourself because that time has already passed. The Air Purifier eliminates dust particles and other allergens from the air so you will only breathe clean air which will result in having a healthier life. Because the Air Purifier works harder and cleans the air better than others, it is also understandable that it makes a loud sound when it’s working. Some people may not be bothered by the noise made by the purifier, but there are others which cannot stand it. If you are not comfortable with such noise, you may opt to get the other smaller purifiers but with less effectivity compared to the Honeywell Enviracaire HEPA Air Purifier. The Air Purifier pleases a lot of people. Many were happy because it is an effective cleaner. Someone with an allergy said that his allergy is gone every time he arrives home because of the presence of the purifier. Another person who suffered from a respiratory problem was glad that he bought the Air Purifier because he was able to breathe normally by simply using the Honeywell Enviracaire HEPA Air Purifier. Others also like the power, the easy-maintenance feature of the purifier. Although the Air Purifier is great, there are some who found something that is not that appealing. Some people complained about the noise that the purifier makes when turned on. They said that the noise increases when it is used in its full capacity. Honeywell Enviracaire HEPA Air Purifier is available at a discounted price of $151.29, 28% discount from the original price of $210.99.